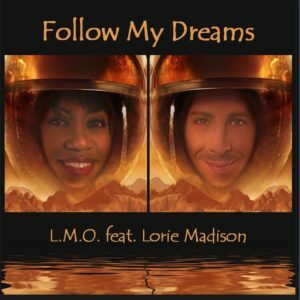 Follow My Dreams by L.M.O. 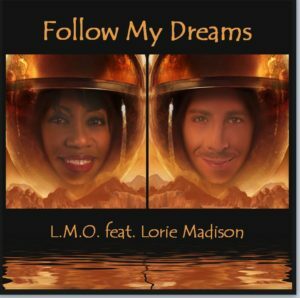 featuring Lori Madison is available worldwide on iTunes, Amazon Digital, Google Play, and via most online music e-tailers. The track was produced by the fabulous Steve Bronski with additional production by Mark Ortega. The track was produced by Steve Bronski with additional production by Mark Ortega. The EDM/Soul duo plans summer performances. Los Angeles/Phoenix (Feb 9, 2017) Mark Ortega Entertainment has announced the addition of EDM-Soul group L.M.O. to its collective of LGBTQI artists. L.M.O is Lorie Madison and Mark Ortega. 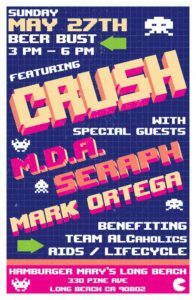 The duo met in 2002 when Mark Ortega was performing at Pasadena Pride with his group Digital Soldiers and Lorie was performing with (Steve) Bronski Beat at the same event and the friendship was born. Soon after, Lorie was asked to join Digital Soldiers and was an active member ever since. Lorie performed and recorded with Exhibition, where she was introduced to Steve Bronski of Bronski Beat. Writing and recording songs with Steve, she traveled Europe as Bronski Beat. Lorie and Steve released a collection of club remixes of “Smalltown Boy” during their tour featuring Lorie’s vocals. The remixes reached the top of the dance charts throughout Europe. Born and raised in Iowa, Mark is a jazz, classical and pop trained singer/songwriter. Besides being a co-founder of synth-pop group Digital Soldiers, Mark also teamed up with Long Beach, CA rocker Danny MacArthur Kemp to form the group Hi-Teck. From 2004 to 2008, the duo performed at Prides in Long Beach, Palm Springs and Phoenix and preceded acts Sir Ari Gold, Brian Kent, and Jennifer Holliday. 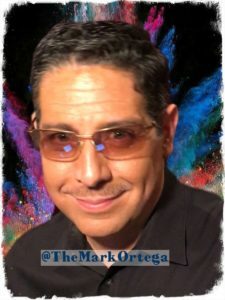 From 2009-2014, Mark Ortega moved to Chicago and founded a musical showcase series featuring talented local gay artists. The showcases provided exceptional live entertainment while raising funds and awareness for causes important to the Lesbian Gay Bisexual Transgender Community. The showcases benefited The Trevor Project, Ride For AIDS Chicago, Test Positive Aware Network and Lambda Legal. Mark’s showcases were held at various clubs in Chicago including Spin, Circuit, and The Glenwood. Also in 2013, Mark released “Boystown,” a song co-written with Danny MacArthur Kemp, about coming out and life within the LGBTQ community based on personal experiences. Available on iTunes, Spotify and Google Play, the song debuted at #3 on OutVoice.net’s top 10 in April 2013. “Boystown” was also featured on the “Gaybourhood” podcast hosted by Hong Kong’s DJ Stonedog in March 2014. Mark left Chicago and moved to Phoenix in September of 2014 and was soon reunited with Digital Soldiers. In late 2016, the group released a Christmas album featuring 3 original holiday tunes. 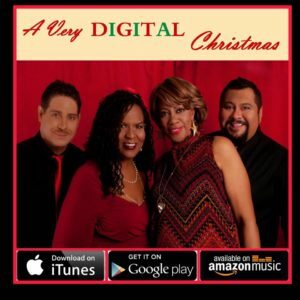 “A Very Digital Christmas,” by Digital Soldiers, is available on iTunes, Google Play and Amazon Digital worldwide. The group also hosted a very successful Album Release Party and Performance benefitting Toys For Tots Long Beach at historic Club Ripples. Click our social media links below to take you to all of our sites!